You knew I would attend more Beer and Chocolate Pairing classes at Larder & Cupboard didn't you?! Now that Patience is home, I also wanted to give her a chance to attend in person as well since she is a bigger beer lover than I am. 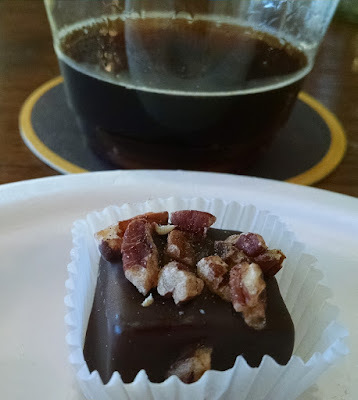 I was thrilled to get to taste more of the Lavender Truffle since that was one of my favorites from last time! Patience loved the Old Bakery Porter as she prefers the heavier beer styles. 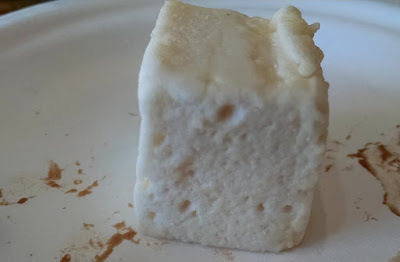 Or was the Marshmallow Pie my favorite? It's still so amazing. Paired with the very smooth Charleville Karate Kick. I stole this photo from Cindy since I ate mine so fast! The Mango Habenero Truffle was new to me left a slight tingle on my lips, although other people said they barely could taste any heat. 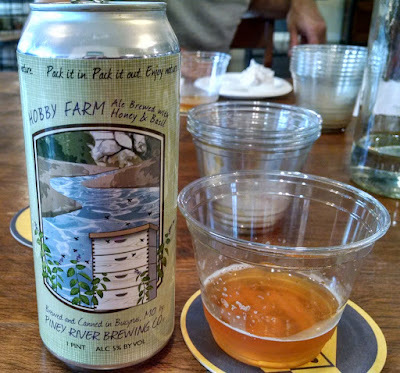 Good thing it was paired with the 4 Hands Divided Sky Rye IPA to cool things off just in case. Also featured is the melt-in-your-mouth Seed Geeks Chocolate Creamed Honey. 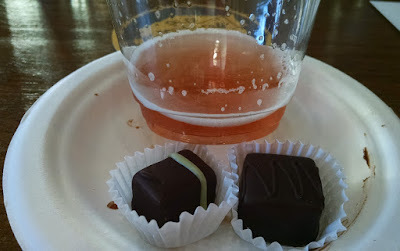 The Dipped Strawberry Rhubarb was super delicious with a fruity, gummy treat in the middle of the chocolate! The sweeter dessert needed something sweet to go with it - Boulevard Hibiscus Gose. This sour beer was just tart enough that I could probably couldn't do much more than a tasting of it. 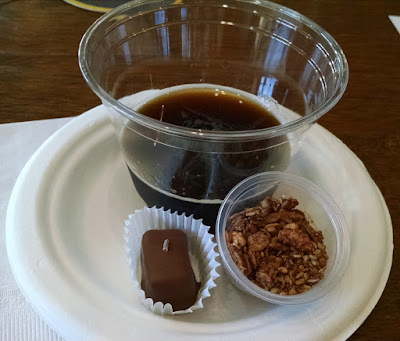 As for Kakao's best seller, the Pecan Caramel paired well with the Piney River Black Walnut Wheat. Then we got to have a bonus round! Here is a homemade marshmallow and a new beer that Larder & Cupboard just got in, Hobby Farm from Piney River. 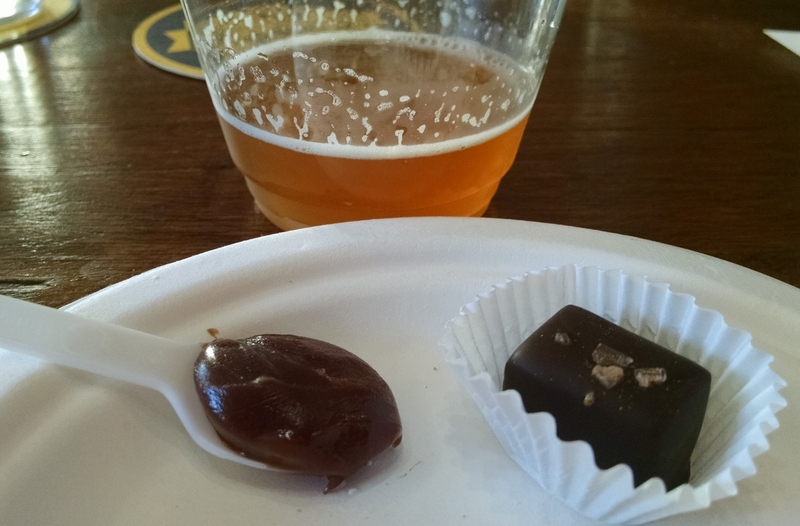 Can't wait for more chocolate and beer pairings!